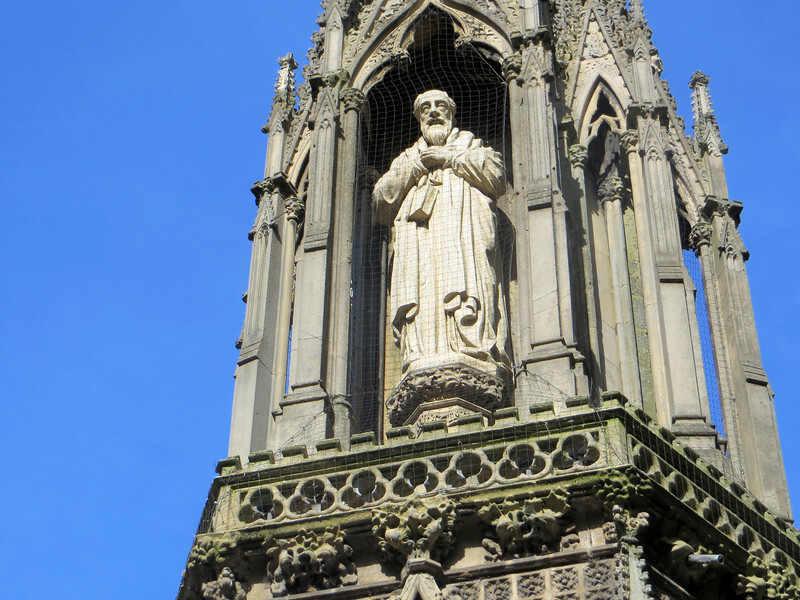 Hugh Latimer, Bishop of Worcester. He and the other two were put on trial in Oxford in 1554. When they refused to agree to the basic beliefs of the Catholic Church they were found guilty and sentenced to be burned at the stake. Latimer and Nicholas Ridley were executed on October 16, 1555.